Have You Remembered to Clean Your Fiber Optic Connectors? Needless to say, keeping the cleanness of fiber optic connector is essential to the high performance of optical devices. If the ferrule is damaged or broken, the whole connector will be useless. Therefore, protecting the connector ferrule from any possible contamination is very necessary. You need to take fiber optic cleaning seriously as a routine work to avoid extra loss. From the following picture, it is clear to see that the end face of a fiber consists three areas: ferrule, cladding and core. Once these parts are free from contamination, fiber optic cleaning is complete. Different contaminants may result in different cleaning solutions. Do you know how many kinds of contaminants are there on the fiber optic connectors? Generally speaking, there are three types of contaminants. Dusts and oils are the most common types. Cleaning these contaminants is easier as long as using the proper method. However, the contaminant of scratches, chips or pits sometimes may cause permanent defects on the end face. Then a new connector is required for replacement. Oils from your fingers will leave a noticeable defect easily seen with the use of a fiber scope, but it will also tend to trap dust against the fiber, which can lead to scratches on both the fiber connector and the optic it is being mated to. In addition, when installing or removing a fiber, small static charge on the ends will attract dust particles in the air. Therefore, putting on the fiber caps is a good precaution if the cable is not used. Dry cleaning – No solvent is used for this type of method. The whole cleaning is processed in a dry condition. Wet cleaning – Solvent is required for this method. Isopropyl alcohol is the most common solvent. Non-abrasive cleaning – This method will not use any abrasive material to contact the connector end face. Abrasive cleaning – This method will adopt abrasive tools such as lint-free wipes to do the cleaning. If you have decided the cleaning method, then it is time to choose the right cleaning products. Common cleaning solutions on the market now are the pen cleaner, cassette cleaner, cleaning card and wipes. Pen cleaner is also named as one-push cleaner. It features an easy one push action, which quickly and effectively cleans the end-face of connectors. The cleaning tip is rotated to ensure the fiber end-face is effectively but gently cleaned. Usually available for 600 to 800 cleans. 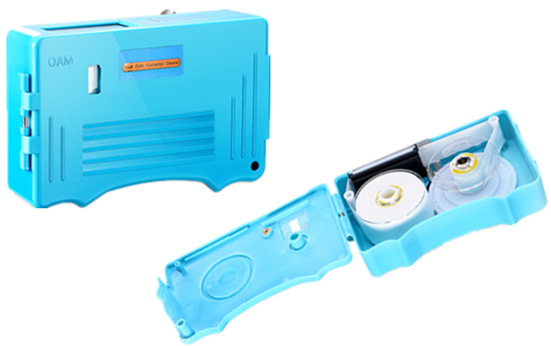 Cassette cleaner or reel-type cleaner is ideal for lab, assembly line and field use. It enables simple push bottom shutter operation for quick and easy cleaning. Each cleaning tape is available for 400 to 500 cleans. Cleaning card is made of the densely woven micro fiber cloth which effectively minimizes the static charge. Wipes are designed with minimal lint or dust to have little interference with the normal functioning of the equipment. Step 1, inspect the fiber connector with a fiber scope. Step 2, if the connector is dirty, clean it with a dry cleaning technique. Step 3, inspect the connector. Step 4, if the connector is still dirty, repeat the dry cleaning technique. Step 5, inspect the connector. Step 6, if the connector is still dirty, clean it with a wet cleaning technique followed immediately with a dry clean in order to ensure no residue is left on the end face. Step 7, inspect the connector again. Step 8, if the contaminant still cannot be removed, repeat the cleaning procedure until the end face is clean. Constantly cleaning the fiber optic connectors can greatly decrease the link failures and unnecessary component replacement. Moreover, using professional tools is much safer and cleaner. 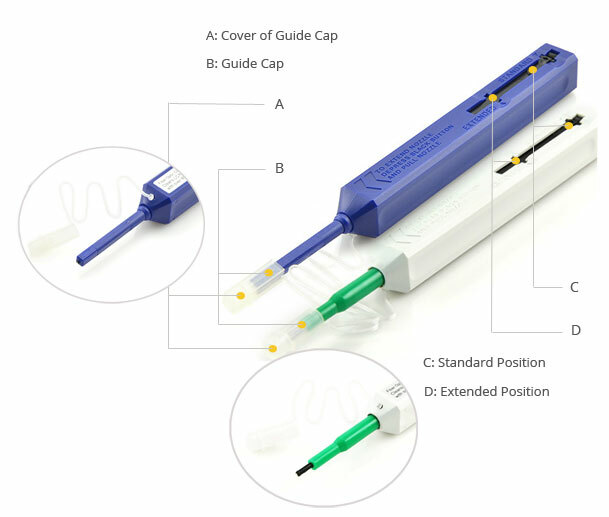 Are you ready to clean the fiber optic connectors from now on? When the transmission of the light signal in optic fiber is affected or completely blocked, the main cause is sometimes to be the contamination on the end-faces of connectors or adapters. Therefore, it is extremely important to clean the pollution otherwise the transmission will be greatly influenced. But how can we make a quick and easy clean? The good news is that the problem can now be solved with only one push. The product of one-push cleaner is designed for the convenient and environmental cleaning of end-face contamination, such as road dust, skin oil residue, salt water residue, alcohol residue, vegetable residue, graphite dryer lint, hand lotion and distilled water residue. The LC/MU one-push cleaner is only available for 1.25mm ferrules, since it is the parameter standard for LC and MU products. Also, the cleaner should be discarded after 800 cleaning times to avoid further contamination. 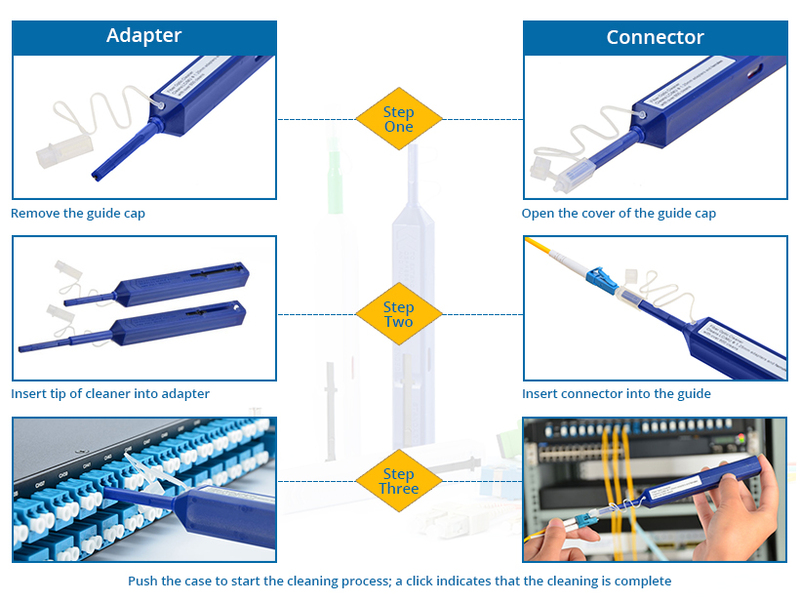 And the LC/MU one-push cleaner can be applied in two polish types of connectors as APC (Angle Polish Connector) and UPC (Ultra Polish Connector). As for the structure of cleaner, it can be divided into the cover guide cap, guide cap, cleaning tip and a body part. Cover guide cap protects cleaner from dust; guide cap is used for connector cleaning; cleaning tip can be extended for adapter cleaning; cleaner body is used for adjusting the position of tip as standard position or extended position. The usage of LC/MU one-push cleaner is relatively simple for average people. When it is employed for LC/MU connectors, make sure just remove the cover guide cap. Next, connectors should be inserted into guide cap for a clean click. However, when it is applied for LC/MU adapters, the guide cap should also be removed. Then insert the cleaner tip into adapters with a click. In addition, please pay attention to the depth of adapters. If they are recessed adapters, the tip length should be extended to reach the adapter. cleaner which includes the thumb wheels, the SC/ST/FC one-push cleaner which is used for 2.5mm ferrules and so on. Therefore, people should be careful about the product model before purchasing. 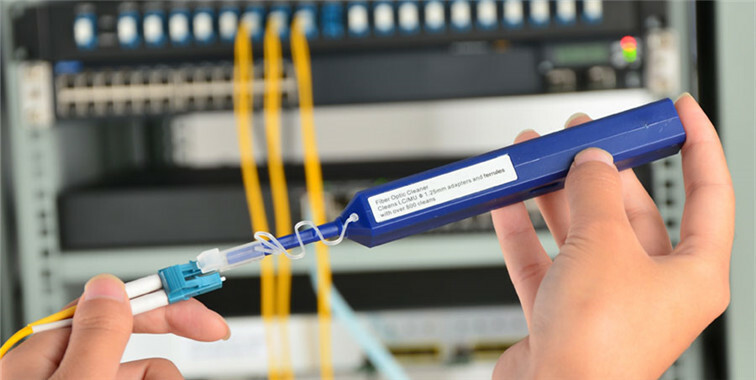 Besides, some fiber optic testers may provide help for the inspection before cleaning and maintenance after cleaning of connectors and adapters. For instance, optical power meter and visual fault locator can be used for detecting whether the light has power loss or is disconnected at a certain point so as to find the specific cleaning area, and the fiber identifier can be employed for the daily maintenance by checking whether the signal is transmitted uninterruptedly after cleaning. As an easier tool for the cleaning of LC/MU connector and adapter, one-push cleaner is the top choice for everyone who is in charge of the cleaning in data center. With just one push, most of the contamination will be gone, and optic transmission will go back to normal again. For more information about LC/MU one-push cleaner, please visit our website at FS.COM. Fiber optic connectors are very sensitive to contaminants like dust, oil and other dirt which can have great impact on the overall optical network, and can reduce its performance and maximum distance. 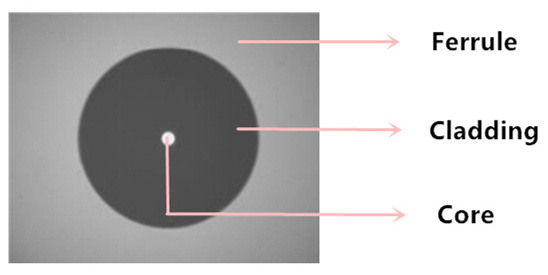 Dust as small as 1 µm can have a noticeable effect on the connector’s attenuation (in excess of 0.5dB). Thus, fiber optic cleaning is one of the most basic procedures to main the operation of optical network system. It’s no exaggeration to say that cleaning consideration is the number one issue in fiber optic cable technology today. It seems that the dust, one of the biggest enemy in the fiber optic communication system, can always find its way to reach the fiber optic connector interface. When a fiber optic connector is mated or unmated, both the plug and receptacle might be polluted by the dust, oil from our fingers or other contaminants. The oil can leave a noticeable defect on the interface of the fiber optic connector, the oil also tends to trap dust against the fiber. To maintain the well operation of optical network, many fiber optic cleaning products and methods are being invented to fight again contaminants like dust. There are two main methods of cleaning based on the material used to clean the fiber optic. One is known as dry clean which is optic cleaning without using any solvent, the other is wet clean during which solvent, usually IPA (isopropyl alcohol) is used. Sometimes, the two methods should be combined. 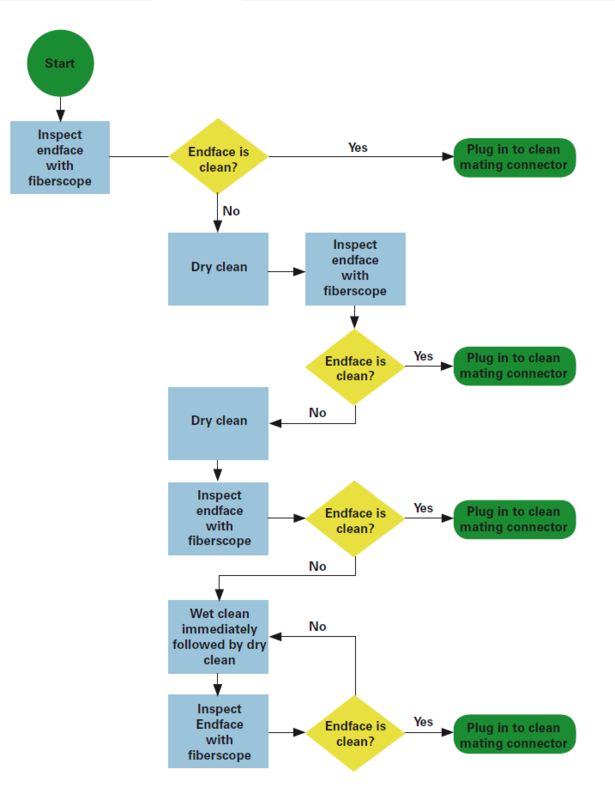 The following picture shows the suggested cleaning approach. Both sides of the connectors should be cleaned, as dirt might be transferred from one to the other. Keep dust caps on the connector, but do remember to verify that the dust caps are clean. Do not just clean the end-face. The body of the connector ferrule should also be cleaned. You should not touch any transmissive or reflective surface of your optic and never reuse a lens tissue. With proper handling and cleaning of your fiber optic, you can prevent damage and ensure their continued performance.